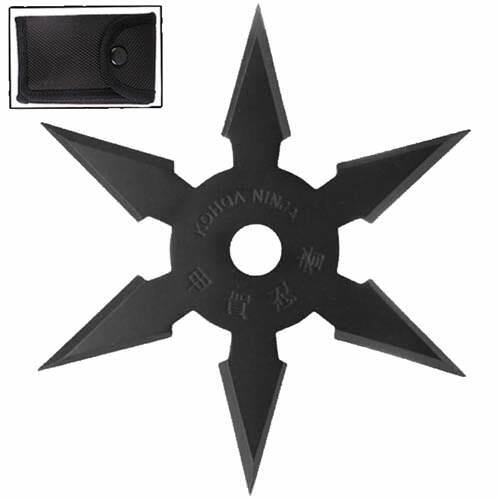 6C2-CK5506B - Secret Khoga Ninja Six Points Throwing Star Black. Overall Diameter: 4 inch, Blade Length: 1 inch, Points: 6. Includes: Free Black Nylon Pouch. They are very thick and sturdy and are made from black anodize 440 stainless steel. Because of the thickness and heaviness of these starts. The length of the blade measures 1 inch. 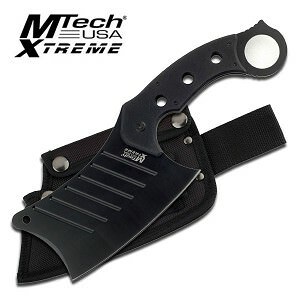 The package includes one black Ninja Throwing star with a black nylon carrying sheath with belt loop.